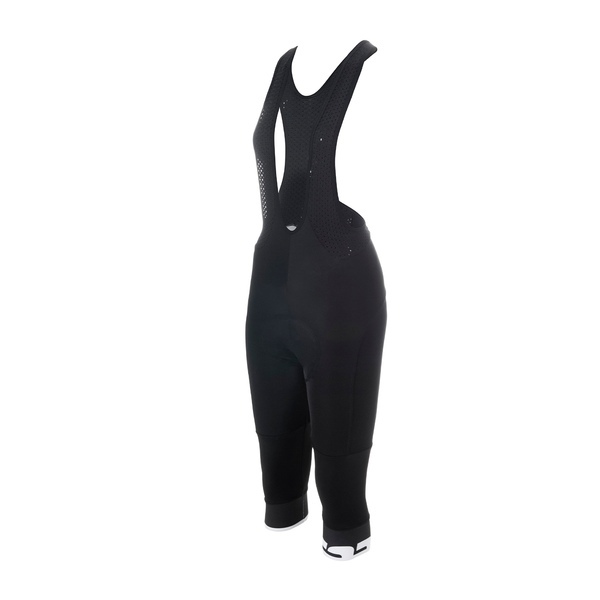 These three-quarter length ladies cycling trousers are made of Performer Lycra and have an elastic Bioracer 3D Ladies chamois. 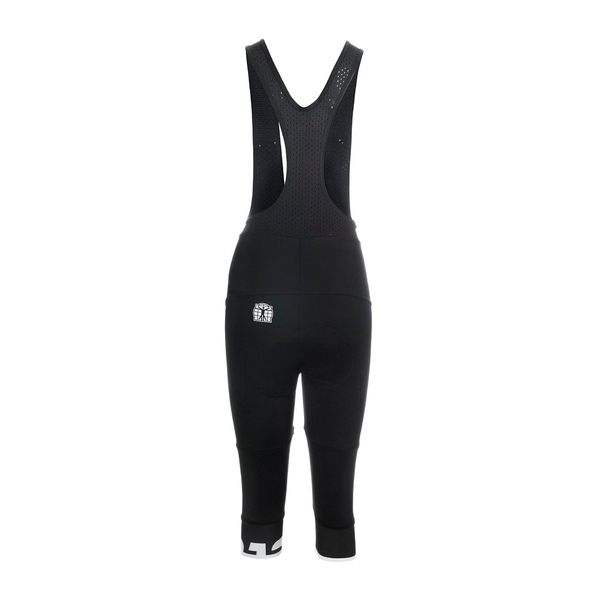 The Lycra stretch material used for these cycling trousers is close-fitting and ensures comfort for the wearer. The flat-stitched flat-lock seams prevent irritation on the friction spots. Thanks to the Eyelet bibs and the Power Band anti-slip trim on the trouser legs, these three quarters cycling trousers always stay in place.